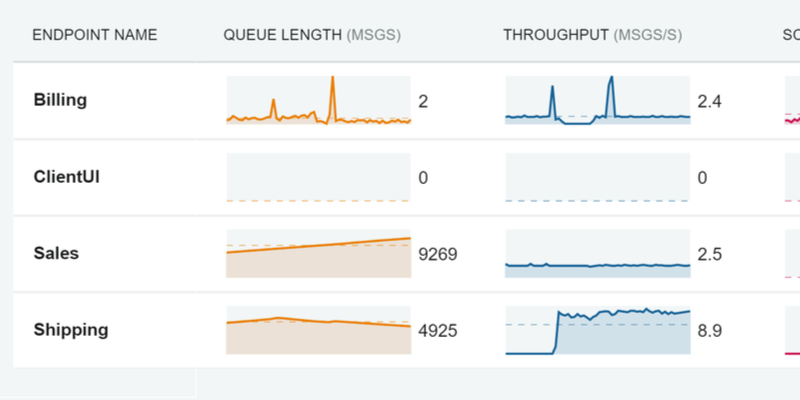 Keep track of the health and performance of your system's endpoints, with minimal configuration. 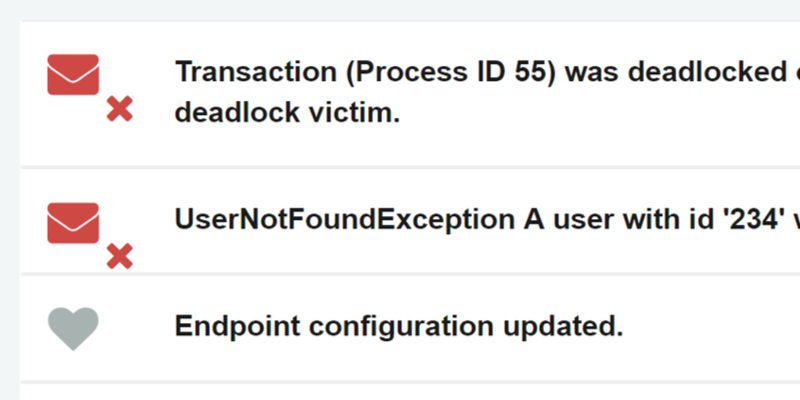 Monitor for any processing errors and recover from failed messages. Get details on the performance of your system with real time data. Know which messages take too long to process and where optimizations will bring the most value. Identify struggling endpoints and know when messages in the backlog will get processed. 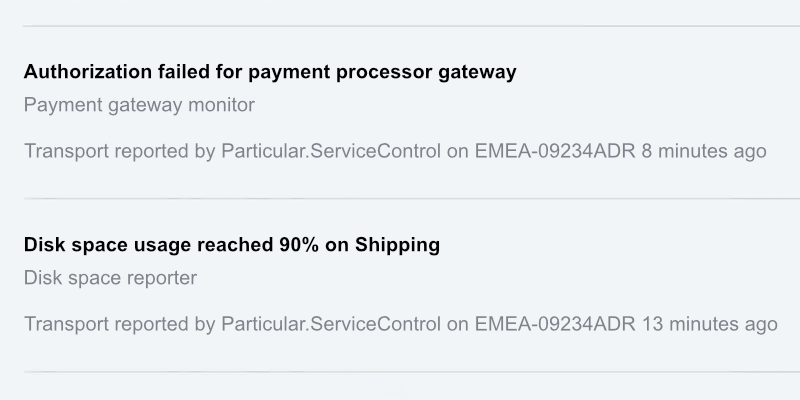 Monitor endpoints' availability and health using the monitoring dashboard, be notified of any message processing errors with the failed messages indicator, and make sure all your specific endpoints' needs are met with custom checks. 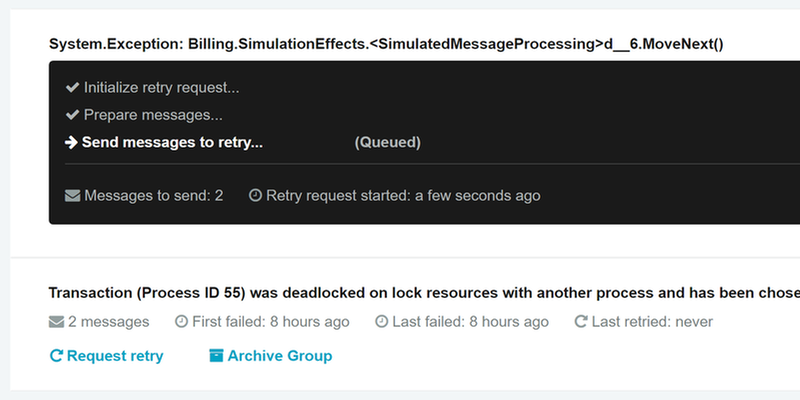 Send failed messages for reprocessing with a single click, individually or in bulk, and archive any unrecoverable message so their data remains available for later audit and review. Create extensions to report on the health and status of key system dependencies and view it all from one place to answer health and performance issues more quickly. 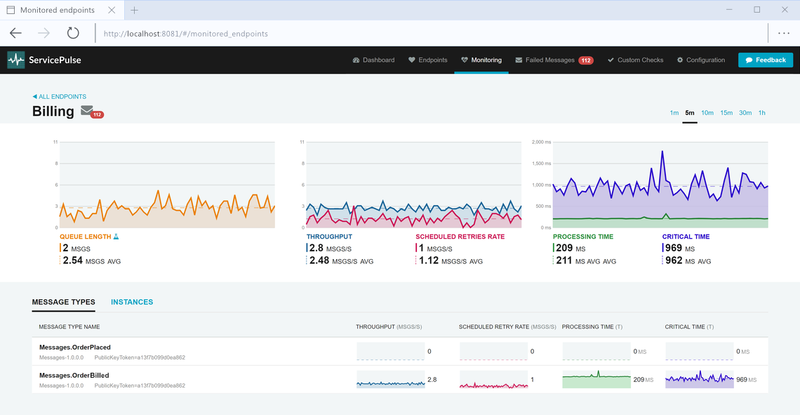 Advanced debugging and context visualization and data drill-down capabilities through integration with ServiceInsight, and out-of-the-box ServicePulse support built into every endpoint.